In this country using a flush toilet in the privacy of our own home is something we take for granted. But in South Africa, people are fighting for safe, private toilets after a woman was murdered on her way to use a public bathroom. 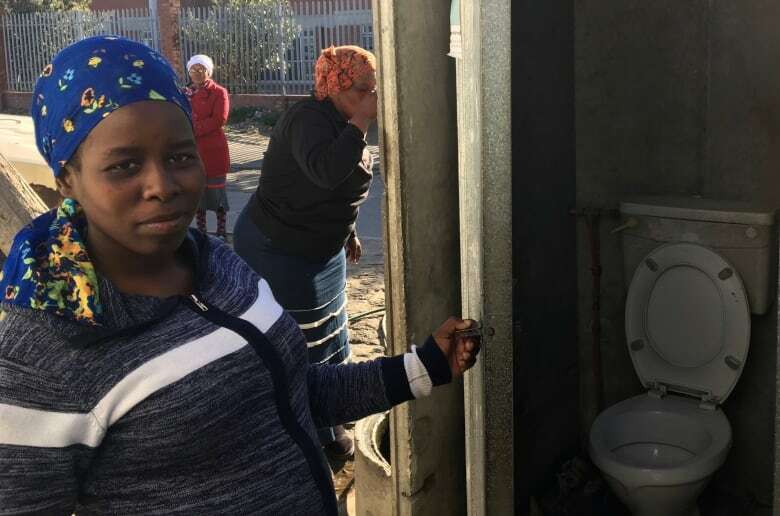 In Khayelitsha, a township just outside Cape Town, South Africa, community activists amping up their efforts to get safe, private toilets after a 19-year-old woman was murdered on her way to a public bathroom. It's a story that is told in the documentary, When She Didn't Come Back, in which Vancouver journalist Lindsay Sample follows residents on the fight for safe sanitation. 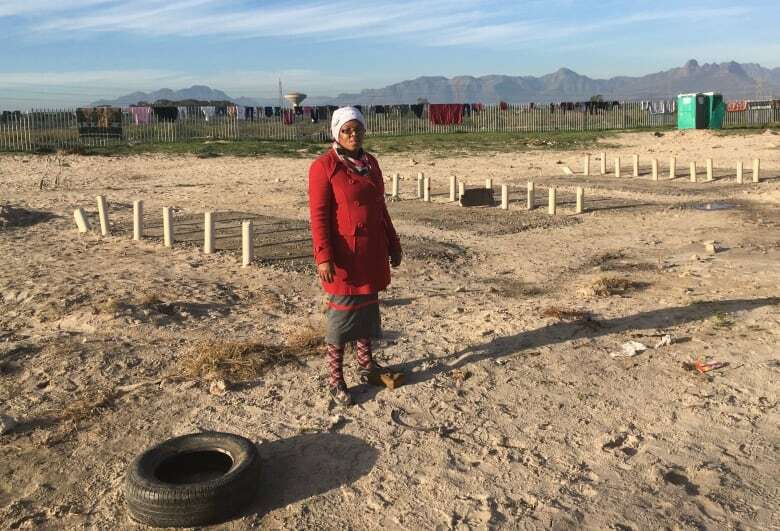 Iminathi Mafevuka lives in a metal shack, packed tightly together with hundreds of thousands of others in an informal settlement where access to proper sanitation is a big problem. She used to walk 15 minutes to the public toilets provided by the government but no longer goes because she's too afraid of being robbed, or worse. "It's not safe," Mafevuka tells Sample. Her sister-in-law Sinoxolo Mafevuka was murdered earlier this year. Resident Nosiphele Msesiwe says Sinoxolo was raped, murdered and "put inside the toilet." She insists women in particular are more vulnerable. "They targeted her because she was going to the toilet," Msesiwe says. Neighbour and community leader Asake Holiday sees the lack of sanitation as a serious problem. "If no one is going to help us about the toilets, this is going to happen again." 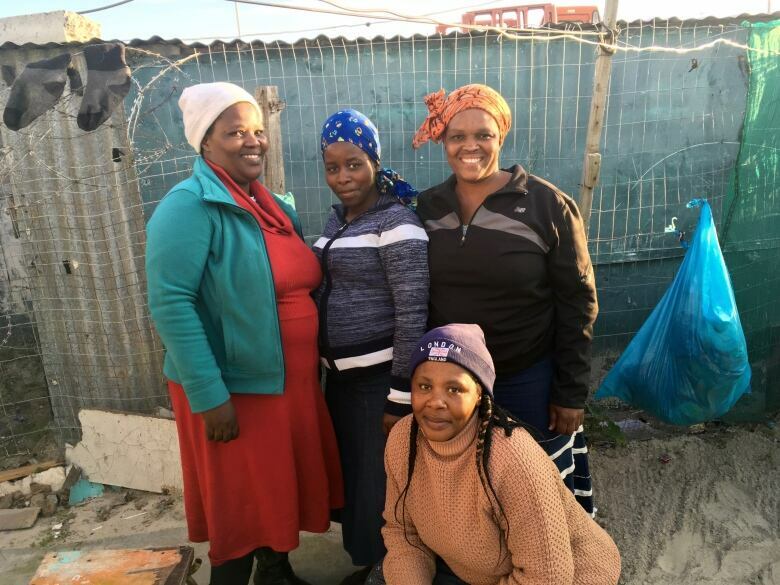 In 2015, Yale economists studied sanitation and security specifically in Khayelitsha. They estimated that walking to the toilet is linked to 635 sexual assaults every year in Khayelitsha. The mayor of South Africa says activists are showing their ignorance when they demand private toilets. For the government, informal settlements are complicated. They're often on private land and the narrow roads make it difficult to put infrastructure like pipes to transport sewage. But Holiday counters that the real problem is "people in parliament don't care about Khayelitsha." 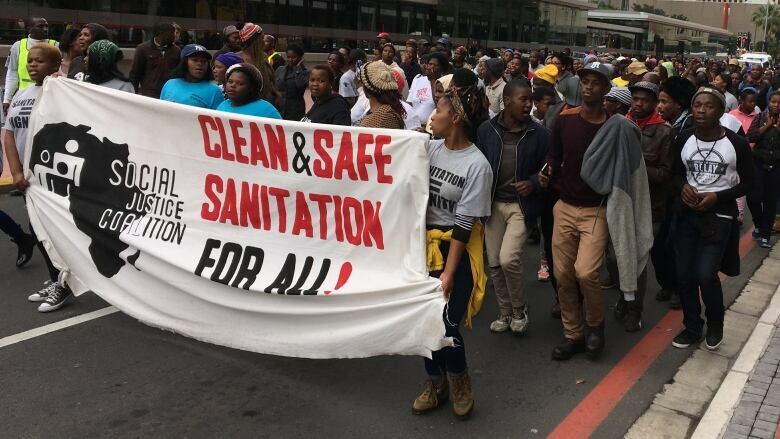 In July, Msesiwe and her colleagues filed a lawsuit against the city of Cape Town, claiming the city has failed residents of informal settlements by not providing proper sanitation. The case is ongoing. About two weeks after Sinoxolo's body was found, two men were arrested — relatives of her boyfriend. Both men charged say they are not guilty. Mafevuka worries if there is no conviction, or if Sinoxolo's murderers might still be free. "I don't think going to the toilet must be something that a person is scared of." She says if she has to use the toilet at night, she will "bare with it 'till it's morning." "Sometimes I limit my food because I don't want to go to the toilet at night," says Mafevuka who is pregnant. "So we just live in fear." The documentary When She Didn't Come Back was produced by Vancouver journalist Lindsay Sample with The Current's documentary editor, Joan Webber. The Current would like to thank Gladstone Mali who helped Lindsay on the ground in South Africa, and the International Reporting Project. No water, power or furnace: Life in an abandoned home in Behchoko, N.W.T.